In a digital age where you can only hold readers’ attention for a few short moments, infographics and other types of visual media are an excellent way to tell a story and share information in an engaging, memorable way. Infographics, in particular, are ideal if you have some interesting statistics to share and want to make a point that people will love sharing. 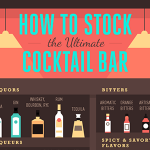 The visual aid of a well-structured infographic can drive home any data-backed point that you want to make or any information you want to share, from the history of home décor to how to stock a cocktail bar. Infographics are visual representations of information that mix text, charts, symbols, images, icons, and many other types of content. There’s often lots of data contained in infographics, but when designed well, these visual tools present compelling info in a way that can be digested in a few seconds. This makes them a fantastic way to hook readers quickly. Plus, if the information is presented in a captivating way, infographics are highly shareable. Indeed, infographics are extremely readable and engaging when done well. Infographics are also wonderfully versatile. Though one of their most popular uses is to display statistics in the form of a graph or chart next to icons, maps, and other visual aids, you can create one on virtually any topic that has some facts you want to share. 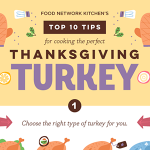 Infographics are perfect for long- or short-form content. You can turn a “Five Best Cities to Visit in the Fall” blog into a short, scannable infographic or make one about the “Highest Paid Athletes of All Time” that dives deep into sports history. If you have a data-driven story you want to tell, infographics are a valuable tool to consider for your content. 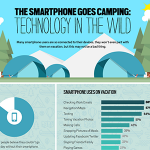 What Are the Elements of an Infographic? Text: All infographics contain some text. Some just have a succinct title and a few words or short sentences for each point covered in the copy, and others are much longer and include paragraphs of text neatly structured under snappy design elements. Artwork and graphics: From captivating typography to icons, artwork and graphics dominate infographics. The visual media in infographics often employs modern flat design, which is deceptively simple and fascinating. Charts, tables, and graphs: Infographics that have data to share often use charts, tables, and graphs (line or bar) to display the numbers. The visual artistry extends to these elements, however, as statistics are usually displayed creatively by incorporating typography and artwork to highlight interesting stats. Facts: You may not have data to share, but your infographic must have some facts — i.e., the information that you want to share with your visually appealing content. Facts are best served in bite-sized portions, and like charts, tables, and graphs, you can incorporate some graphic- or text-based artwork to make interesting facts stand out. A narrative: Infographics have a story to tell. They contain a beginning, middle, and end, and you need to consider how the title or main heading of the content generates traffic and how the facts you share are relevant to the story and interesting to the reader. Resources: Infographics need to include a list of resources to back up the facts that they present. This usually looks like a works-cited page or a list of footnotes at the bottom of the copy. You can also embed links to take readers to other places on your website or to external sources. What Are the Types of Infographics? You can build a static infographic or an interactive infographic. The major difference is that static content presents material — text, graphics, charts, maps, etc. — in a straightforward way. The outcome is always the same, and the content never changes. Interactive infographics, however, present elements that the user can interact with, potentially changing the story that it tells. Examples include watching a video, answering questions, or providing some type of feedback that reveals new information in the infographic. Static infographics are fantastic for linear stories with a single point. If the point you want to make hinges on the user’s perspective or needs, interactive infographic an amazing way to create content with several possible outcomes that change based on the reader’s input. 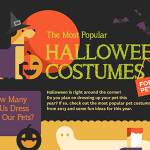 Are you curious about using some infographics in a marketing campaign? If so, you may want to work with a design agency to build a content strategy that capitalizes on the benefits of infographics. Browse through the sample infographics on each agency’s website as you research potential collaborators. The company’s portfolio should include a collection of past work from real clients as well as design examples showing off the agency’s abilities, creativity, and flexibility. Look for static and interactive infographics to get an idea of the options at your disposal for a marketing campaign. Browsing lots of sample infographics will also help you come to the table with an idea of what you want your campaign to look like and the elements that you’d like your infographic to feature. You need infographics because they’re incredibly effective. To put it simply, infographics have an effect on readers unlike any other type of content. They’re much easier to consume than blogs and articles (especially if you have some statistics to share), they can be skimmed through in seconds, and they’re a welcome visual break from the walls of text and redundant web designs that users come across when they’re browsing online. How Can Infographics Help You? Because infographics are visually appealing, they stand out from other types of content online. They’re also quicker to consume than video content, and unlike video clips, readers can quickly skim them without missing any of the key points you want to share. Drive traffic: With infographics, you don’t have to compromise between getting traffic and retaining your audience. This type of content is excellent for getting readers to your site, giving them a reason to stick around without having to wade through walls of text, and providing a visually appealing, information-rich piece of content that’s easy to share on social media. Captivate readers: Regardless of whether you’ve got a lot to say or just want to share a snippet about a subtopic relevant to your products or services, you don’t have long to get readers’ attention. And even if you get a user to stick around at your website, you’ve only got about 15 seconds to get them to read your content before they move on. Because well-made infographics are eye-catching and easy to scan, you can get your key points across quickly before readers bounce from your website. Hold their attention: Not only are infographics visually appealing, but they present information in an engaging way that encourages readers to stick around. Effective infographics check all the musts of readable content: a catchy headline, short, punchy sentences, precise writing, and simplicity. They’re also entertaining, partly because of the artwork and graphics used and partly because they (ideally) contain useful information that users want to read. Create solid pillar content: Pillar content is content that’s structured around a core topic. A book, for example, is about a broad topic with each chapter serving as a pillar that focuses on a slice of that subject. Infographics are a fantastic way to dive deep into a specific subtopic, and since they draw readers to your site and keep them engaged, infographics are a great tool for funneling readers into other parts of your website. What Should You Look for in an Infographic Design? 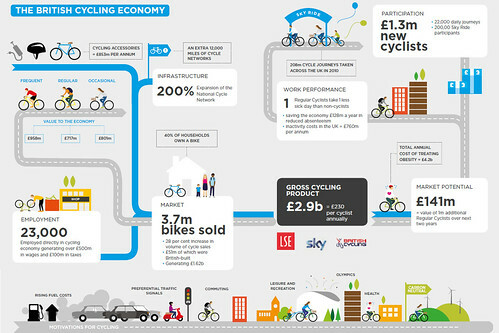 A major benefit of infographics is that designers can get pretty creative in how they lay out and present information. If you’re comparing companies that can create this type of content for you, look over their sample infographics to get an idea of what they can produce and whether that style will fit your needs. Presentation of information: The point of an infographic is to share information quickly and in a visually appealing way. As you look at samples, consider how long it takes you to understand the point of the infographic. Then, think about how well the rest of the information is presented. Is the infographic easy to understand? Does it flow? If so, the infographic is presented well. Quality of information: Regardless of the topic, the information in an infographic must be high quality and interesting. If you’re thinking of hiring a third party to make this type of content for you, look at their samples and prior work to see if they’re taking advantage of infographics to present information in a compelling way. Also, look at how clearly the data is cited and whether the info is coming from reliable, up-to-date sources. 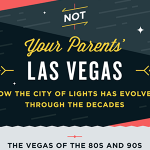 Interesting design: Since an infographic is a type of visual media, its design is essential. You want your infographics to get and hold users’ attention, so an interesting design is arguably the most important part of this type of content. Flow and readability: A good design will grab attention, but what happens next? Your infographics need to be well-structured to ensure that you keep readers on the hook. The title or point of the infographic should be clear, and each part of the body should contain new, helpful info that’s clearly related to the main topic. Shareability: The colorful, fact-filled nature of infographics means they’re great for sharing. If you’ve got a point to make that you’re really excited about, an infographic with a well-told story can help you generate some interest in what you have to say. In addition to the above best practices for creating an infographic, you’ll need to consider how the content will display your business information, such as a logo, and whether you want to include links to your website and social media accounts. You’ll also need a strategy to take advantage of infographics’ natural shareability. This type of content is ideal for platforms such as Twitter, Pinterest, Facebook, and Instagram. If you have a large following on one of these platforms, you can work with a designer to create an infographic specifically for that account. Could You Benefit From an Infographic? Visual assets are the preferred content type for social media marketers. Visual content is especially important to B2C marketers, but B2B companies are also prioritizing visual assets. From 2015 to 2016, B2B marketers increased their use of infographics by 8 percent. Readers spend more time looking at images in an infographic than they do reading the text on the page. Infographics are shared 300 times more than other types of content on social media. People retain information that has text and images far better than they do information with text alone. Infographics aren’t a trend. Visual media is expected to account for the majority of communications this year, and visual intelligence is rising, with sites like Tumblr, Pinterest, and Instagram reporting steep growth on their platforms. The online world is leaning heavily toward visual media like infographics for a reason. This content is eye-catching, engaging, shareable, and entertaining. Consider incorporating infographics and other visual media into a marketing campaign to make a fantastic impression on your target audience.